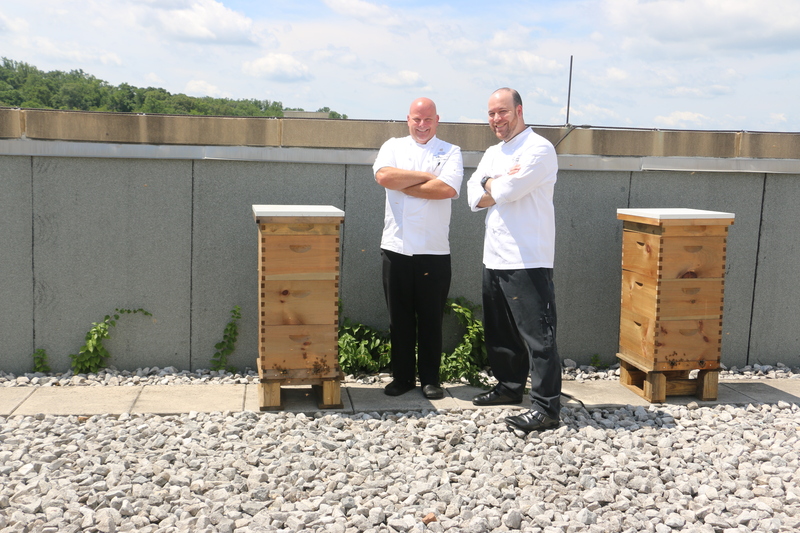 This August, Gaylord National acquired four Langstroth beehives to harvest its own honey on the resort’s rooftop. The hives will house 10,000 to 12,000 bees per hive when fully active with hopes of producing 120 pounds of honey by the 2018 spring harvest to infuse into various food and beverage offerings. The honeybees also will assist in pollinating a new chef’s garden in the spring. The resort’s culinary team plans to plant everything from herbs to tomatoes to flower plants including blueberries and strawberries to help the bees thrive, in addition to having house-grown produce steps from its kitchen. Some additional culinary and beverage programs that the resort will introduce this fall include juices, barbeque and dehydrated fruits and meats. The resort’s beverage team has sourced an in-house juice maker that will provide 100 percent natural juices to be consumed as standalone beverages or used to elevate its cocktail program. The beverage team also will be aging its own bourbon and gin cocktails in wood barrels at select restaurant and bar outlets. Gaylord National also will begin smoking meats as part of a new barbeque program this fall. Using a mixture of cherry and hickory wood for flavor, guests will be able to enjoy smoked ribs, whole free range chickens, bacon and more. No barbeque program would be complete without rubs and sauces, which all will be custom made by the resort’s culinary team. Another new menu item that will be found in the resort is house-made jerky. Resort chefs will dry out beef and chicken to create jerky with flavors that include black peppered, maple jalapeno, garlic honey and soy. Using a dehydrator, the resort also will produce dehydrated fruits to include in its beverages starting at its signature restaurant, Old Hickory Steakhouse.